Although ATTRI was registered in 2012, the founder, Associate Professor Dr George Vicatos, has been involved in designing and developing orthopaedic devices since 1992. But his innovative design spirit has roots from long before. George Vicatos was born in Athens, Greece, in 1955 to a mother who was a medical doctor and to a father who was an officer in the Greek Royal Navy. He grew up in an environment where his mother’s laboratory and practice was at home and hence he was exposed to many patients, mainly poor and destitute after WW2 and the civil war that had shattered Greece during the 1950’s. The young George made a pledge to himself to become a doctor in order to stop the suffering and he devoted many hours browsing his mother’s anatomy books and enjoyed her explanations, using detailed diagrams of the processes in the human body. Surgery on deceased frogs (used in those days for hormonal research) was the anticipated treat after a study of blood vessels, nerves and bones. And thus as the years passed by, George not only became knowledgeable about the body structures, but also became an enthusiastic designer of engineering devices. The latter opened a path for him to study mechanical engineering, rather than proceed with his intended medical education and career. As a result of his life-long interest in medicine nurtured in his youth, he studied Anatomy at the Medical School of the University of Cape Town. This was the turning point, as his engineering knowledge and design capability served to focus his attention on the reconstruction of the skeleton. 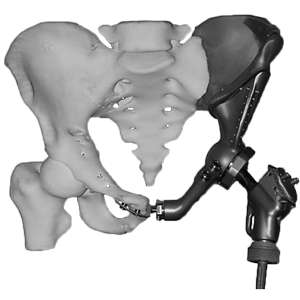 The instrument he designed in 1992, particularly for Professor I. Learmonth, to aid the reattachment of the greater trochanter in a novel way (a surgical technique developed by Prof Learmonth), was the start of his involvement in medical devices and implants. After that he designed and produced several isolated medical instruments, but his participation in the development of orthopaedic devices took flight in 2000/2001. Patent for an implant assisting with the fixation and centralisation of cementless stems in the metaphysis. Became a founder, a 50% shareholder and the managing director of an implant manufacturing company, ISIQU Orthopaedics, where he initially designed and manufactured custom implants for tumour patients. Patent for a novel modular design of proximal femoral replacement which received an award for the best South African patent of the year. 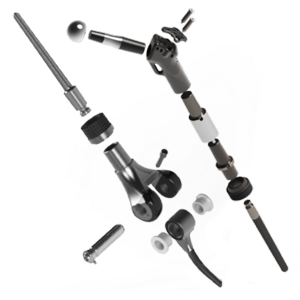 Designed and manufactured about 600 custom and modular implants at ISIQU Orthopaedics, that were sold in private and provincial hospitals in South Africa as well as in India, for limb-salvage operations. The company was dissolved in 2010. Received the Popular Mechanics, Inventor-of-the-Year and Cutting-Edge awards, for the invention of a device to assist Distraction Osteogenesis in the reconstruction of the maxilla after maxillectomy due to tumour. 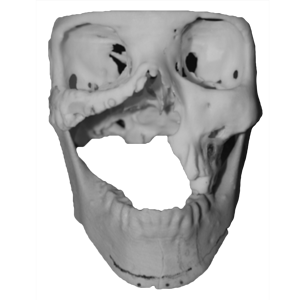 For this procedure he collaborated with a maxillofacial specialist, Dr Rushdi Hendricks, and was assisted by his Master’s student. Became the founder and owner of ATTRI Orthopaedics, where he has made strides in designing custom implants for pelvic reconstructions and in re-developing his designs of modular implants for upper and lower limbs. Received the Popular Mechanics Cutting-Edge award for the invention of a mechanically activated prosthetic hand for amputees at the wrist. For this development he was assisted by his Master’s student. ATTRI is a growing company; and in collaboration with various departments of the University of Cape Town (UCT) and the Central University of Technology (CUT), the research focuses on improving the manufacturing processes for implants and identifying new technologies, choice of materials, treatment of articulating surfaces and osseo-integration techniques. ATTRI is not a manufacturing enterprise, but subcontracts its manufacturing needs to CRPM, an ISO13485 certified unit of the Central University of Technology (CUT), for the 3D printing manufacturing and to TiTaMED, a fully ISO and CE certified, Cape Town Company that takes pride in producing detailed and accurate medical, aerospace and astronomical devices and instruments.